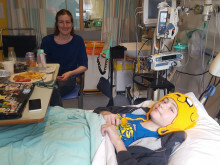 Jessica is lacing up her trainers to get ready for the London2Brighton challenge, where she’ll run 100km from the capital to the coast, on Saturday 26 May as thanks for supporting her at Rainbow House when her son needed lifesaving surgery at Great Ormond Street Hospital. In times like these, you need the support of your family. You can’t do it alone. 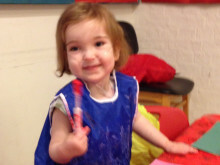 We supported Ivy's parents when she was flown from Malta to Great Ormond Street Hospital for heart surgery. Tessa Evans was born with an incredibly rare facial anomaly called arhinia, which means she has no nose. It is an extremely rare condition, with 47 reported cases in the history of modern medicine to this day. When she was born her parents were told she was one in 500 million, although since then the odds have gone down to one in 20 million. 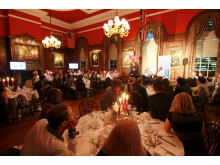 We were delighted to welcome QBE volunteers to our London 'Homes from Home' earlier this week. The volunteers kindly decorated every house, cooked for the families and left Christmas hampers for them all. The hospital treatment was of course of paramount importance, but the love of a family and being able to remain together during such a traumatic time was the best medicine by far. 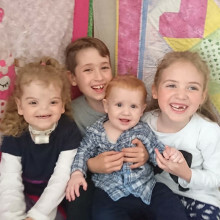 Evie was born with Crouzon Syndrome, a rare genetic syndrome which affects approximately one in 65,000 children at birth. It means that the seams in the plates in Evie’s skull had already fused together before she was born which would prevent her skull from growing normally. 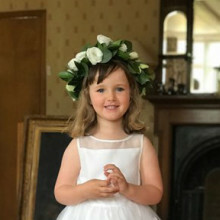 We have supported her family at Guilford Street and Rainbow Houses since she was born in 2010. 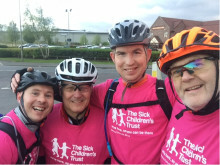 A keen cyclist who completed the Prudential Ride 100 last weekend is due to take on another 100 mile cycling challenge in September to fundraise for The Sick Children’s Trust charity and ‘Let’s talk about William’. 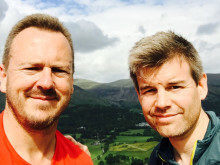 Colin day and his friends who are all novice cyclists are taking on The Way of the Roses cycle challenge next month to raise money in memory of Lydia who sadly passed away last year. They're hoping to raise £9,000. 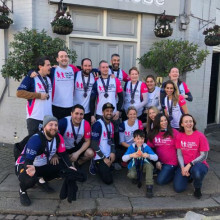 Georgia is taking on the Virgin Money London Marathon for #TeamSCT in memory of her sister Sydnee who sadly passed away last September. Throughout her life, Sydnee was in and out of her local hospital and Great Ormond Street Hospital, where we supported her family with free accommodation. 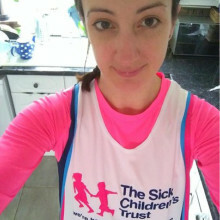 #TeamSCT - Meet Georgia who is running the London Marathon for us! 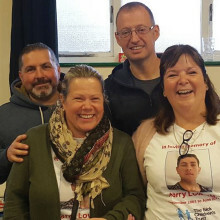 Cara has set herself the challenge of completing the South West Coast Path Walk in two months to raise money for The Sick Children's Trust, Merley Community Pre-School and Meningitis Now as thanks for the charities' support. ​On Saturday 20 August come and join The Sick Children’s Trust for its annual sponsored walk. You’re just a few minutes’ walk from your sick child’s bedside. If you need to be there during the night, you can be. 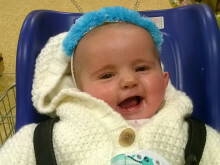 Claire and Stefano were supported at Rainbow House while their baby daughter underwent three life-saving operations, and a fourth one earlier this year. 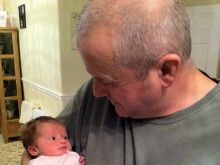 Grandad Denham is aiming to raise over £2,000 to help another family in Rainbow House after we supported his son and daughter-in-law when their daughter, Layla, required heart surgery. 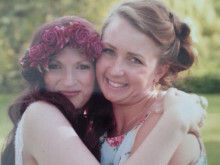 Linsey Smith will be running The Grizzly next weekend to say thank you for supporting her friend Gemma as a child by giving her family a 'Home from Home' as she battled cancer. 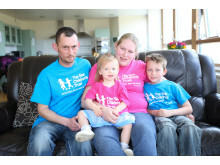 Thomas' family stayed with us at Rainbow House last year when her underwent his fourth heart surgery. Here's their story. 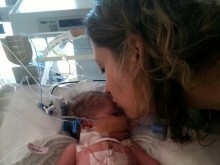 Jessie was born with one lung and had a narrowed trachea. 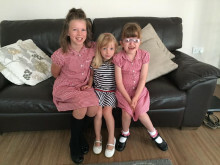 Jessie’s family stayed with us at Acorn House when she was being treated at Addenbrooke’s and at Rainbow House when she was treated at Great Ormond Street Hospital.